Experimental black metal acts…..make you break out in a nervous sweat don’t they! Visions of self-absorbed, incoherent, lo-fi wankery may flash before your eyes, as you await an onslaught of inaudible clattering nonsense but fortunately, Arkheth’s Twelve Winter Moons Comes The Witches Brew is black metal….but certainly not as you know it! In fact, an almost incomprehensible genius is at work here, fashioning ‘songs’ that transform themselves from the most vigorous extreme metal onslaughts to jazz-fusion noodling via moments of tranquil beauty. Intrigued? You bloody well should be! Opening track “Trismegistus” may sound relatively predictable – with sounds of anguish and clanking chains conjuring distressing images of hell – but there’s something ‘off’ about the initial blast beats and shrieked vocals, which signify an ulterior motive from the outset. When jazz riffs and a heavy use of saxophone(!) then arrive, you’ll either be in thrall to the dissonant delights of Twelve Winter Moons Comes The Witches Brews….or want to run for cover, slap on some corpse paint and go sulk in a forest for a fortnight. “Dark Energy Equilibrium” then takes a post-black metal axe to the face of latter day Satyricon, with a few surprising, jazz lounge interludes thrown in just to unsettle you further. Creepy, insistent and completely captivating, it’s arguably the finest track on Twelve Winter Moons Comes The Witches Brew. That is until “The Fool Who Persists in His Folly” – with its joyous explosion of avant-garde noise – makes a fool of you. With its myriad of moods and time changes, this saxophone-led circus of horrors is an experience like no other! “A Place Under The Sun” then proceeds to take a progressive / post-black metal paddle in Ihsahn’s tumultuous waters, with almost spoken-word vocals and delicate, spacious riffs revealing a menacing fragility of barely restrained drama. This coiled serpent of a song threatens to strike at any moment but even when the blast beats do kick in, they’re tempered, quietened even, in favour of a controlled attack that gives this exquisite song ample room to breathe. It’s easy to categorise 12 Winter Moons Comes The Witches Brew as a black metal album but that would be far too convenient a label. 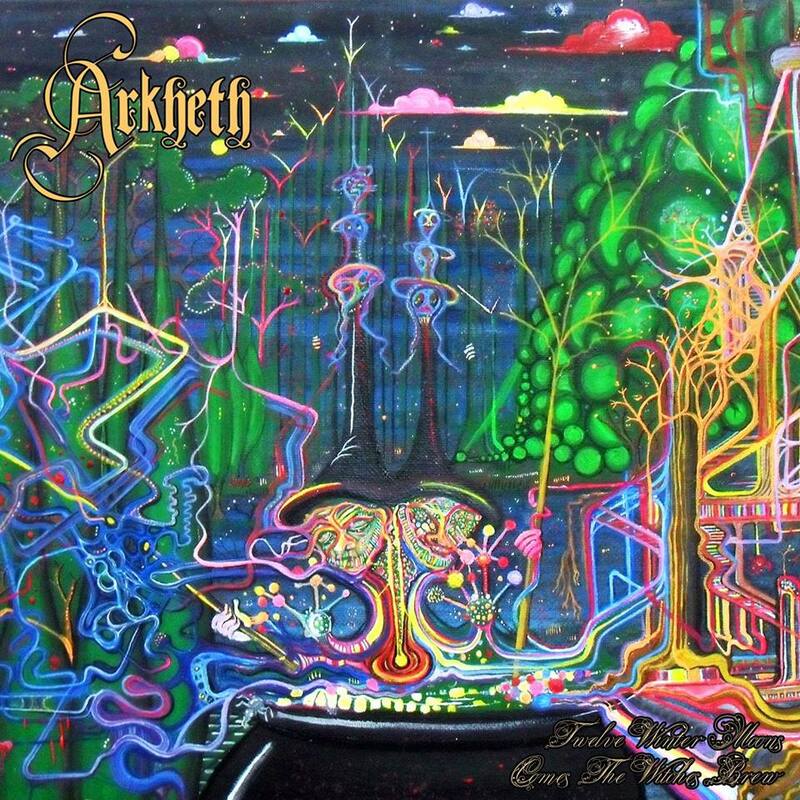 Instead, Arkheth have crafted a scintillatingly unique fusion of extreme metal components, abstract noise and John Zorn-esque escapades in sonic alchemy. If that sounds appealing , then you may find yourself falling deep into the arms of an album that can proudly call itself ‘different’. 12 Winter Moons Comes The Witches Brew was released on February 20th via Transcending Obscurity Records. A cacophony of primal black metal!